Home > The Basics > What is Animal Testing? Animal testing is a phrase that most people have heard but are perhaps still unsure of exactly what is involved. Whether it is called animal testing, animal experimentation or animal research, it refers to the experimentation carried out on animals. It is used to assess the safety and effectiveness of everything from medication to cosmetics, as well as understanding how the human body works. While supporters believe it is a necessary practice, those opposed to animal testing believe that it involves the torture and Suffering Of Animals. Virtually every available Medical Treatment today has, to some degree, involved animal testing. The animals themselves may be bred specifically for testing or they may be captured in the wild. There are also commercial establishments that sell animals specifically for use in animal testing facilities. Animals are considered to be similar to humans in terms of assessing safety, which means that there are Strict Requirements for testing on animals with regards to new drugs. In the UK, for example, a new drug must have been tested on two different species of live mammal. However, those who are opposed to animal testing and view it as an unnecessary infliction of suffering cite that the stress an animal experiences will impact the accuracy of the results, rendering them useless. For now, however, animal testing is required before drugs and some other products are available for consumer use. Animal testing is a controversial subject. Because it is so controversial, the biases that exist on either side can skew the accurate definition of the practice. Those against it would reply that animal testing creates pain and suffering. They would tend to define animal testing as nothing more than animal suffering. Those who support animal testing may define it as experimentation that uses animals to benefit humans, where it saves lives and provides vital medical treatments. Read about the history of animal testing in our article Background and History of Animal Testing. People are only seeing the side of how animals are suffering, and how they are being abused....But think about it people, what else would we do it on, another human? You are only hearing of the bad labs, some really do take care of the animals, they do their best to make the animals comfortable. The rats actually like to play in the smoke. I debated this topic in year 8, and had to say it was a good idea. It really is. I could bring my whole speech up again! I think it should never be done even if it benefits us because it hurts the helpless animals. animaltesting is cruel and personally I think it should never be done. These are my own opinions on animal testing - they are not perfect but they won't be far wrong.Written for the animals. Humans could be tested on more, slowly and in teensy ways.The public and prisoners can be experimented on (voluntarily), as long as they want to and are able to consent to it.They would need good rewards, and do so only at a small risk.People could be paid to be tested on instead of putting money into expensive animal maintenance. A lot of people get cancer these days, and some experimenters say that it becomes a matter of 'mouse cancer' to deal with, not human cancer.Animal tests are inaccurate in order to account for human ones.Not caring for an animal means not caring for a human. Computers in animation sounds like amazing new technology, it must be that the animal's senses and everything is recorded on the screen. They could invent a computer animal/human. Computer wizards need to be working on this new technology 24/7 and brainstorming, as we speak.Make a human robot with feelings someone! My knowledge nowadays of Pavlov's dog is that it had something implanted into its jaw, sounds like a mean animal experiment. We could all catch a mutating disease perhaps from the animals as they could live in dirty laboratories.I have seen footage of testers without gloves on when handling animals, and so then they touch the ingredients, and so on. Testers inject awful human diseases into animals and animals don't get these kind of diseases. They will stop animal testing in cosmetics, it is a question of when. Animal testing for food and drugs is next hopefully. The public want this stopped effective, immediately, and then the new ideas will spring forth. It is better to give 'animal test' a new name of 'animal abuse'. Chemicals for me are annoying, I like natural ingredients, that is the way of the future. Thanks!!!!!!! i am doing a assignment on Animal Testing in HASS (Humanties And Soacial Studies) i am in the top extended class for it and this website gave me all the steps for doing this project onec again THANKs!! This helped with my research assignment soooo much! thank you! This site is very help full, as I was doing a project on animal testing and needed to know information this site as told me a lot but I am against this because we should not be hurting poor animals but at the same time I think this is a good idea because we would not of been able to survive with out testing on these animals. Cruel to monkeys they're no different to us,but not cruel to rats they are pests.It's all foryour own benefit. Inhumanity would be if it was tested on humans first. 5 words.I JUST LOVE THIS WEBSITE!!!!!!! Thanks so much this really helps with my speech that I am preparing for school. So So cruel, how can people do this to animals, they are living beings like us, what puts us above them?????? @Someone, There's a difference between testing potentially deadly things on babies and on rats bred for that purpose.Babies may not have a voice, but they're still human.Rats aren't.Personally, I think that if you feel so strongly about not testing on rats, you should volunteer to be given cancer and test a drug that may or may not kill you.If you aren't willing to, wouldn't it make sense to do it on not a human? Hi. I'm a kid from an Australian school. I was asked to do a project on animal cruelty and theme I found out all this info. Wow! It's just cruelty! Some animal testing really cannot be justified at all! What about the horrible suffering animals go through with some of these experiments? They don't have a say because they can't speak for themselves, why don't we test on babies?? They cannot speak just like animals. There's basically no difference but people would think of it to be horrible because its a child that cant speak for itself. Same goes with animals don't you think? Thanks @Corcor glad you find it useful. @interested. 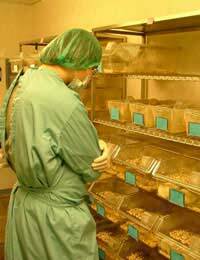 There is lots of information on this website, giving impartial details about all aspects of animal testing. Check out each of the categories first to scan through the lists of articles. Keep an eye for topics in the news and the media as this is a subject which can be emotive and controversial.